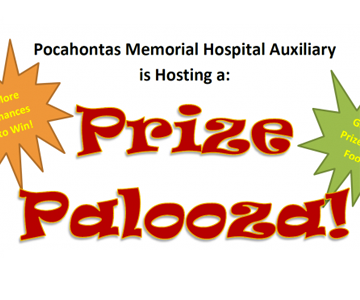 Pocahontas Memorial Hospital has designated September as their “Swing Bed Month” and has been holding events and education throughout the month to raise awareness of this program. 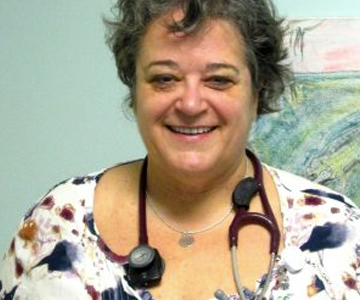 “Swing Bed,” or Skilled Nursing, is a great service available at PMH that many in the community have no knowledge of. Throughout the month, hospital staff will be wearing badges saying “Ask me about Swing Bed at PMH!” to encourage patients and visitors to start a conversation. A popcorn giveaway and Swing Bed crossword contest were held last week for staff to build their own knowledge of the program. Building on the swing theme, all employees who completed the crossword had their name entered in a drawing for a hammock swing. Debbie Crookshanks was the lucky winner. 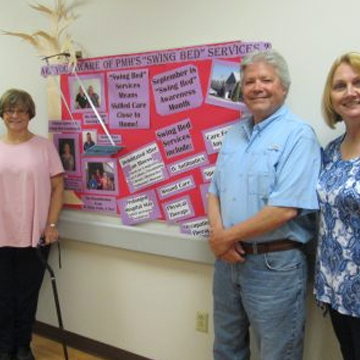 Other events included a special reception for Swing Bed patients who successfully met their goals while on the program and are now back home, presentations and talks for community groups, and an employee stretch break led by the Rehabilitation Team. Swing Bed is a skilled nursing program that you can be admitted to after any qualifying illness or surgery to receive rehabilitation therapy or special medical treatments. PMH offers physical, occupational, speech, or respiratory therapies. Treatments could include wound care or IV antibiotics. Patients may qualify if they have been in a hospital on acute care and require further skilled services. 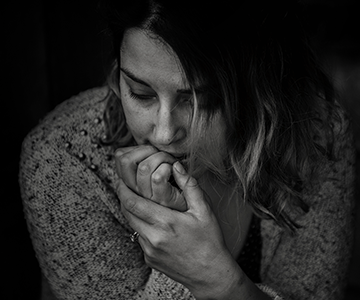 For example, a person may be hospitalized with congestive heart failure or pneumonia and need additional care because they are weak or debilitated. They could then transfer into the Swing Bed program. Or, maybe you have joint replacement or surgery done at a hospital away from here and need additional physical therapy and recovery. Rather than stay at that particular hospital, you can request to be transferred to PMH for the very same services. On average, a patient is enrolled in the program for one to two weeks. Swing Bed is covered by insurances and Medicare. For further information about the Swing Bed program, please contact Edwina Garber at 304-799-7400 ext 1081.